Roundabout is an attractive and modular composition of sitting elements/poufs that are by extension elements convertible into bar stools, coffee tables, or chairs. Attached to one another by flexible joints, these elements can be composed into various compositions without limitation, in rows or clusters that fit in narrow halls or wide spaces. The elements can as such be used individually as well. They are round and of different diameters. Smart joint elements on the poufs enable also rotating of one element around the other. 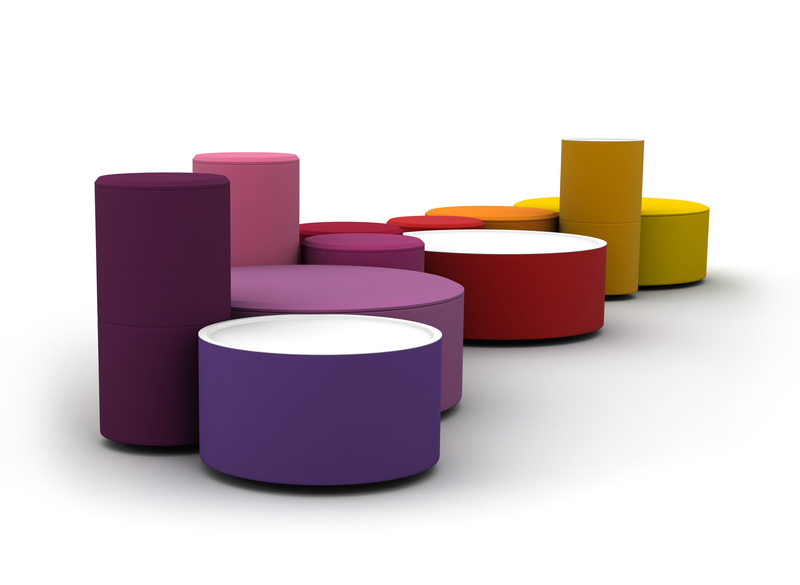 Roundabout is suitable for public places, contract furniture, hotel lobbies or galleries. 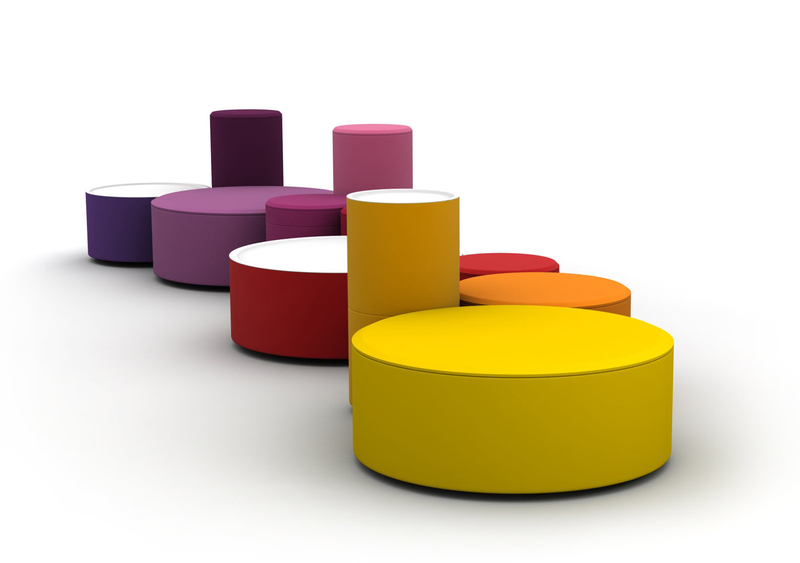 And at home, individually or in a group, as a nightstand, a coffee table or kitchen stools. The elements are made of plywood, fabric covers in attractive colours and of high density foam. Roundabout is the latest innovation by LINA® and has already won the Interior Innovation Award 2015-Winner awarded by IMM Cologne Furniture Fair and German Design Council.